Check out Tobi's Seminar Longline Coat You're so profesh in The Fifth Label's Seminar Navy Longline Coat. 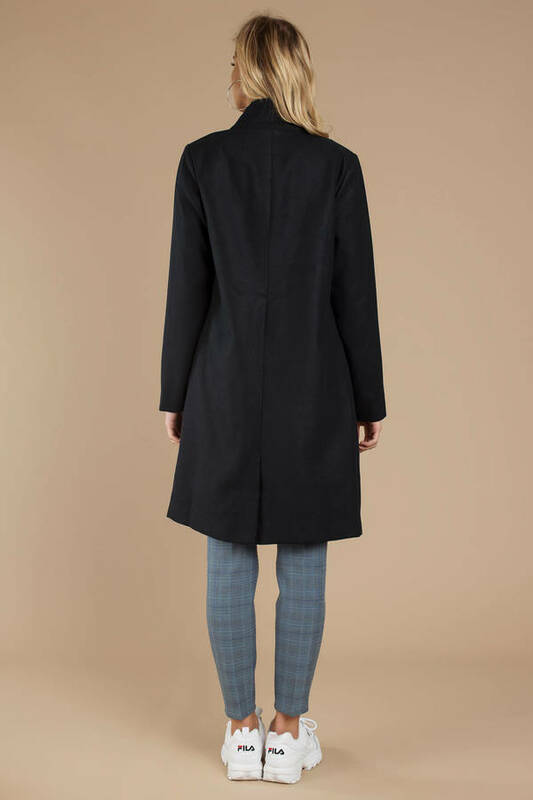 This boxy coat features a longline construction, inseam pockets, and a single button closure. This sleek midi coat will look extra stunning with plaid pants and a boss attitude. You're so profesh in The Fifth Label's Seminar Navy Longline Coat. This boxy coat features a longline construction, inseam pockets, and a single button closure. This sleek midi coat will look extra stunning with plaid pants and a boss attitude.